In January 1931, a special federal census discovered 99,233 Clevelanders out of work and another 25,400 with jobs but laid off without pay or working only part-time; half of the city’s population was affected. The Cleveland Plain Dealer described this as “the peak of the depression.”  Wishful thinking – because things got worse. As the numbers of the jobless continued to rise, local government and private charities, the historic caretakers of the city’s poor, were overwhelmed, unable to provide food, clothes, or shelter for those in desperate need. Angry, frightened citizens took to the streets, challenging the police, elected officials, and employers. In these worst of times, the federal government assumed new responsibilities: building highways, homes, schools, bridges, and parks to put Clevelanders to work and changing public policy toward those in need. Since the seventeenth century local governments had taken care their resident poor. (Non-resident poor were “warned out” of the city.) Private charities, almost always faith-based, played a secondary role, helping only their co-religionists. The city of Cleveland sheltered the absolutely destitute in the public poorhouse, the first founded in 1827, on the future site of Erie Street Cemetery. In 1855, the city opened a larger facility on Scranton Avenue, the Cleveland Infirmary, so-called because many of its inmates were incapacitated by illness. The Infirmary housed not only the ill, but the insane and the criminal, the elderly and the orphaned, as well as men, women, and children – often recent immigrants – who were just down on their luck. Inside the Infirmary the able-bodied were supposed to work to earn their keep. The regimen was rigid, and the amenities were none. No one was encouraged to stay long at public expense. During the first decades of the twentieth century, the various dependent groups were separated: criminals were placed in the workhouse, the elderly in a facility in Warrensville Township, parentless children in orphanages, and the ill in Cleveland City Hospital, the foundation of today’s MetroHealth System. The city provided the poor who had shelter with outdoor, or direct, relief; this meant grocery orders for approved food, sometimes shoes or clothing – but never cash – distributed at the backdoor of the Infirmary. In 1922, on the grounds that it was strapped for funds, Cleveland turned over its responsibility for outdoor relief to a private agency, Associated Charities (AC). After a brief economic downturn in 1920-21, most Clevelanders prospered. The city, the sixth largest in the country, remained a center for the manufacture of steel and iron, automobiles and automotive parts, chemicals, and textiles. Downtown remained the center of the region’s financial and commercial life. The Public Auditorium, the Public Library, and the Board of Education building, all designed in the grand Beaux Art style, completed the city’s Group Plan, evidence of the city’s soaring ambitions at the beginning of the century. Celebrating those ambitions and that prosperity, the Republican Party held its 1924 presidential nominating convention here. The nominee, Calvin Coolidge, believed that the business of America was business; most Clevelanders would have agreed. Among Cleveland’s successful businessmen were the visionary Van Sweringen brothers, real estate entrepreneurs who created a railroad empire en route to creating a suburban utopia. Capitalizing on the desire of Cleveland’s upper-middle class to escape the city’s congested neighborhoods and smoke-filled air, M.J. and O.P. Van Sweringen in 1906 purchased from a Buffalo real estate syndicate land that had once belonged to a community of Shakers – the Shakers called it “the Valley of God’s Pleasure” – and turned it into a planned community of architect-designed homes, clubs, commercial districts, public and private schools, and parks along curving roadways. The Van Sweringens realized that crucial to Shaker Heights’ success was public transportation to downtown Cleveland, and to gain the right-of-way into the city for their Shaker rapid transit, the brothers in 1916 bought the Nickel Plate railroad, the first of several they later purchased. To serve as a depot for their railroads and the rapid transit, they then built their Cleveland Union Terminal complex, the most magnificent transportation and commercial center anywhere – or so Clevelanders believed. In 1927, even as the tower of the Union Terminal, symbol of the city’s well-being, was topped off at 708 feet (Terminal Tower would be the second tallest building in the country), the AC staff noticed growing numbers of jobless men and women asking for help. The numbers rose again in 1928 as the demand for the products of Cleveland factories – automobiles and other durable goods – declined. In 1929, well before the October stock market crash and the official beginning of the Depression, AC’s expenses for direct relief had doubled, and the once-affluent agency was running in the red. The Community Fund was able to make up the deficit. A year later, the AC deficit was $600,000, and the Community Fund again covered the deficit with a special fund. The Wayfarers’ Lodge sheltered 26,433 men in that one year. After almost a century of service in a city that had experienced economic crises about once every decade since its founding, the AC staff were old hands at weathering depressions, but they had never faced anything like this. Then followed frantic, improvised efforts by the public and private sectors to stem the rising tide of unemployment and destitution. The city launched a short-lived public works program, providing three-day shifts in parks and on streets at sixty cents an hour; 17,000 men applied for the few available jobs. The successful applicants wielded shovels and rakes at Edgewater, Gordon, and Brookside Parks; “Earning Wages Again after Idle Months, City Toilers Are Happy Lot,” exclaimed the Cleveland Plain Dealer. Cuyahoga County organized a similar program of work on county roads. There was no work for women or for men who could not do heavy labor. Mrs. Dudley S. Blossom, whose husband was then Cleveland’s Welfare Director, donated $5,000 toward relief; Thistledown Race Track donated one day’s proceeds; Junior League volunteers bottled and distributed donated skim milk; individuals gave canned fruits and vegetables; groups collected used clothing, and some relief clients sewed their own at the AC Sewing Center; children filled Penny Boxes for children less fortunate than themselves. The Red Cross distributed surplus government cotton and wheat. Churches and other private organizations urged members to hire temporary workers in a “Man-A-Block” program. Relief gardens provided work and food for hundreds of families. As the usual pledges from usually generous donors diminished, the Community Fund could not meet its own fund-raising goals by mid-decade. The difficulties of Cleveland’s banks, once symbols of financial security and wealth, compounded the crisis. Two had closed by 1932, Standard Trust and Midland Bank. After the governor of Michigan declared a bank holiday in his state, a run on Cleveland banks in February 1933, cost Union Trust, the largest bank outside of New York City, and Guardian Trust half their deposits. Cleveland Trust was spared only because its president stood in the bank lobby and promised depositors that the bank was sound. The next day, most Cleveland banks agreed to limit withdrawals to 5 to 10 percent of a customer’s account. At the end of this harrowing week, Franklin D. Roosevelt, who took office on March 3, 1933, ordered all the nation’s banks closed until their financial stability could be assured. Union Trust and Guardian Trust stayed shut. The Community Fund, and thousands of small depositors, had money in both. Two bank officers went to jail. In an effort to cushion the blow of another devastating depression, Congress in 1935 passed the Social Security Act, providing old age and unemployment insurance programs, overseen and partially funded by the federal government, and federally and state funded direct relief for specific groups such as the disabled and dependent children. Although the long-range implications of this “safety net” were enormous, its immediate impact was minimal. In any case, Americans much preferred work to direct relief, later labeled “welfare.” Congress, accordingly, established a series of work relief programs, These programs had various and sometimes confusingly similar names: the Civil Works Administration (CWA), a short-lived program initiated in 1933; the Public Works Administration (PWA) initiated in 1933, and the Works Projects Administration, later the Works Progress Administration (WPA) initiated in 1935. Some programs targeted specific groups of unemployed persons, such as the Civilian Conservation Corps (CCC) for young men, the National Youth Administration (NYA) for young men and women, and the federal theater, music, writers and art projects. Most work relief programs, however, provided unskilled jobs, putting people back to work, putting money in their pockets, and at the same time, creating something of lasting value that would serve the public. Like the Social Security Act, these programs did not take hold immediately. Clevelanders took out their frustrations on their political leaders, who changed with dizzying speed. The city had instituted the city manager plan of government in 1924, which was supposed to put the administration of the city in the hands of a nonpartisan expert rather than an elected official. William R. Hopkins was appointed the first city manager. Hopkins, a Republican, was a lawyer and a former Cleveland City Council member. ( Cleveland Hopkins International Airport was named in his honor in 1951.) In 1930, however, City Council removed Hopkins from office, replacing him with Daniel Morgan, also a Republican and a former Council member. In 1931, voters ditched the city manager plan altogether and again elected a mayor as chief administrator. In 1932, Democrat Ray T. Miller won the election; the enormous difficulties of the Depression ensured that he would serve only one term. Miller was succeeded by Republican Harry L. Davis. Davis had been Cleveland’s mayor from 1916 to 1920 and had served one term as Ohio governor, 1920-1922. Like Miller, he had only one term as mayor, 1933-35. Political stability returned only with the election of Republican Harold H. Burton. Burton served three terms, giving Cleveland “the kind of honest, efficient government it hadn’t seen since the days of Tom L. Johnson and Newton D. Baker.”  Burton, later elected to the U.S. Senate and then named to the U.S. Supreme Court, maintained order in this tumultuous time. Much of the political tumult was created by the Council of the Unemployed. Like AC, the council had noted the growing number of jobless as early as 1927. The council’s leaders were Sadie Van Veen and her husband Israel Amter, a founding member of the Communist Party, USA. The council’s leaders were Communists; its followers probably were drawn mostly from unemployed men and women who energetically participated in the council’s marches and political demonstrations that demanded jobs and an end to poverty. Seven members were arrested, but immediately released, after a November 1927 demonstration at City Hall protesting the arrest and detention of one of their leaders. In January, 1928, the council set up a “soup kitchen” for the unemployed on Public Square, serving up gallons of “mulligan” stew to call attention to hunger, and in December, in a parody of the Christmas tree traditionally set up on Public Square by AC, the council set up its own tree, decorated with ragged clothes. In February 1930, in a “Red Job Riot,” police fought 1,000 protesters on the steps of City Hall as they sought entrance to City Council chambers; 25 people were hurt; five demonstrators were taken to the hospital; nine went to jail. Ten thousand protesters returned to City Hall in March, part of a Communist Party-sponsored International Unemployment Day, and presented City Council with a long set of demands that included recognition of the Soviet Union. Rebuffed, the leaders left, but many of the protesters stayed, becoming an unruly mob that shut down rush hour traffic and pulled streetcars off their tracks until mounted police got the crowd under control. The council also staged protests at AC offices and the Wayfarers’ Lodge, claiming that direct relief was too stingy and the lodge was squalid and unlivable. Initially, city officials were tolerant of the protests; the council received a permit to stage a May Day march in May 1933. In July 1934, however, as the council staged simultaneous protests at three CCRA offices, one council member seized a policeman’s gun, fired it wildly, killed a fellow protester, and in turn was shot by another policeman. Three others were wounded; eight went to jail. The council then denounced the police. By then the city’s patience and tolerance had worn thin. Subsequently, the council kept a low public profile. In April, 1934, however, 3,500 Communists gathered in Cleveland for the party’s national convention. They damned the New Deal, called for the overthrow of capitalism, and more pragmatically made plans to join the American Federation of Labor (AFL) and the Congress of Industrial Organizations (CIO) in their drive to organize unions. The formation of unions was encouraged by the passage of the National Industrial Recovery Act in 1933 and the National Labor Relations Act in 1935, both of which protected collective bargaining. The AFL and the CIO, working together until their separation in 1937, threw themselves into the organizing fight in Cleveland. They were joined by the Industrial Workers of the World (IWW), a group on the far left of the labor movement. The result was a series of strikes against big and small employers that heightened the general unrest. Cleveland was no stranger to strikes. A few famous examples: in 1877, a local strike against Standard Oil and the national railroad strike; two strikes against the Cleveland Rolling Mills in 1882 and 1885; a streetcar strike in 1899; a three-month long strike in the garment industry in 1911; a streetcar conductors’ strike in 1918-1919. Most strikes were about wages and/or working conditions. All failed. The Depression era strikes were different, mostly because unions and collective bargaining had received the approval of the federal government. The issues were wages and union recognition. Most strikes were brief; most ended in partial victory. The strikes that made the biggest headlines, however, were against Cleveland’s biggest industries, automobiles and steel. The Fisher Body Division of General Motors in Cleveland recognized the United Automobile Workers (UAW) as their workers’ bargaining representative in 1934. On December 28, 1936, however, Cleveland workers staged a spontaneous sit-down in the Fisher Body Coit Road plant while sympathetic pickets walked the sidewalks outside. The issue was the recognition of the UAW by General Motors management in Detroit. According to the Cleveland Plain Dealer, “the strikers were having a good time, like college boys on a good lark.”  The Cleveland strike inspired a more famous sitdown strike at Flint, Michigan, which ended without violence in February 1937 when General Motors recognized the UAW as the bargaining agent for its workers. This was an important victory for the UAW even though the sitdown strike was later declared illegal. The Little Steel Strike, initiated May 26, 1937, created more drama. The strike pitted three independent steel companies – Inland Steel, Youngstown Sheet and Tube, and Republic Steel’s McKinney-Corrigan Company in Cleveland – against the Steel Workers Organizing Committee, a CIO affiliate. Both Governor Martin Davey and Mayor Burton tried to mediate; neither the union or management would budge. Republic kept its plant open by hiring strikebreakers. The National Guard kept peace for ten days, but when guardsmen left, violence broke out between strikers and workers: “… 60 persons were injured, shots were fired, tear gas bombs were thrown and more than 100 automobiles were damaged in wild fighting.” CIO headquarters were destroyed; one striker was killed by an automobile. Police kept the angry crowd of 3,000 away from the plant, and the strike was lost. These steel companies did not recognize the union until compelled to do so by the National Labor Relations Board in 1942. Unwelcome in the AFL and CIO affiliates, Cleveland’s black workers launched their own efforts to fight the Depression. In 1935, a handful of blacks, led by John O. Holly, organized the Future Outlook League (FOL). Its purpose was to compel or persuade the white owners of businesses in the predominantly black Central neighborhood with very high unemployment to hire black workers. The 3,000 white-owned stores in Central employed fewer than 100 blacks. The FOL used picketing and boycotts; its message to the black community was “Don’t Spend Your Money Where You Can’t Work.” Boycotts were an historic way of applying political pressure – for example, the Boston Tea Party – and had been used by blacks in other communities. The FOL leadership was also familiar with the local Communist leadership and the street theatre tactics used by the Council of the Unemployed. The FOL did not endorse violence, but fearful white business owners got injunctions against picketers. From 1936 to 1938, the picketers became more confrontational, and in April 1938, police used teargas on 2,500 picketers outside the Woodland Market. The league claimed some successes, including the Woodland Market, which did then hire black employees. Holly went to jail for ten days in 1941 for illegal picketing but after his release was appointed to the Cleveland Fair Rent Committee. The eviction of thousands of Clevelanders, both home-owners and renters, also sparked sporadic protests and violence. There were 9,300 evictions in 1931, up 100 percent from the year before; in 1934, the number had risen to almost 13,000. In October 1931, a crowd inspired by a Communist rally, marched to a house on E. 46th St. in the Central neighborhood from which a family had been evicted and attacked the police. “2 SLAIN, 3 SHOT WHEN 300 RIOT,” shouted front page headlines; the two dead and two of the wounded were civilians. Thirteen persons, including one Communist organizer, were taken into custody. After a funeral procession through the neighborhood, the dead men, now martyrs for the Communist cause, were buried in Harvard Cemetery as a crowd of 3,000 raised their fists and sang “The Internationale.” Many at the graveside took this pledge: “I pledge to carry on the struggle for our comrades who have died and to join the ranks of the revolutionary class; to protest the murders by the boss government through its police tools; to demand punishment for the murderers and to demand that there be no more evictions.”  In February 1932, six squads of police battled a crowd of 300 trying to hold on to the possessions of an evicted family on E. 139th St.; in October, four men were arrested when a crowd repeatedly attempted to restore the furniture to the duplex on Lakeside Avenue from which two families had been evicted. In July 1933, police used teargas, clubs, and fire hoses to control a mob of 6,000 protesting the eviction of a home owner on Lardet Avenue; 14 people were hurt; seven went to jail. The frequent evictions even created an “eviction star,” 36-year-old Fannie Gibson, who went on a hunger strike while she was in jail for camping out in front of the house from which she had been evicted. Most of the thousands of evictions were peaceful. But the sight of a family and its possessions camped on the sidewalk was heart-wrenching, and the court costs of evictions were high. The CCRA soon helped renters facing eviction with a check made out to the landlord, and by 1938, landlords got tax credit from the city for not evicting tenants. The number of evictions gradually tailed off. More quietly, thousands of Clevelanders lost their homes to foreclosure. These losses didn’t make headlines, but appeared in hundreds of classified ads like these: “Foreclosure price sale; greatest sacrifice ever known; choice location opposite East Boulevard; $4600… Owner paid $10,000 two years ago,” or “On account of foreclosure on a high class apartment, owner of the furnishings was forced out without notice” and offered at public auction, 50 rooms of furniture. In April 1935, there were 6,100 foreclosure suits pending in the county. Congress established the Home Owner Loan Corporation in 1933 that provided loans to qualified homeowners to avert foreclosure. The Van Sweringen brothers, creators of Cleveland’s Union Terminal complex, lost their empire. Shaker Heights had been an instant success: from 1919 to 1929, its population grew from 1,700 to 15,500. But several of the nine railroads that the brothers had acquired went bankrupt. The brothers’ spectacular financial edifice was built on credit based on stock market values. The market crash forced them to default on a $48 million loan from J.P. Morgan and Co. in 1935. Although they raised $3 million to buy back their holdings, both brothers died shortly afterwards. Some of Cleveland’s loftiest aspirations died with them – at least temporarily. By then, however, New Deal work relief programs had begun to take hold, putting thousands of Clevelanders to work building new infrastructure and renovating old. Ten thousand WPA workers built the Memorial Shoreway, razing existing buildings (including the shanty towns), expanding the lakefront with landfill, and paving the new surface. When the highway was completed in 1938, it was “the largest WPA job in the nation”; in 1939, the WPA completed the Main Avenue Bridge that connects the Memorial Shoreway to the west side, formally named the Harold H. Burton Memorial Bridge. The city’s three markets – West Side, Central, and East Side – got painted and refurbished. The WPA did $4,800,000 worth of repairs to Cleveland public schools. Cleveland’s public housing projects were initiated by the PWA in 1933. They were the brainchild of Ernest J. Bohn, a state legislator and then a Cleveland City Council member. Unable to gain the support of private investors, Bohn turned to the federal government, and the PWA financed the first three public housing projects in the country, Cedar-Central, Outhwaite, and Lakeview Terrace, completed between 1935 and 1937. All three were justified as slum clearance as well as job-producing. Under the direction of the Cleveland Metropolitan Housing Authority (now the Cuyahoga Metropolitan Housing Authority), the Valleyview, Woodhill, Carver Park housing projects and an expansion of Outhwaite followed. The housing was intended for low-income families, but not families on relief. Whether intentional or not, the projects were also racially segregated and came under attack by the local National Association for the Advancement of Colored People. The WPA staffed the projects’ recreation areas. The buildings were designed in the modern style, sometimes with Art Deco detail. CCC workers were young men, 18 to 28, who earned $30 a month working in forestry, parks, and soil erosion camps; they were required to send $20 to $25 home to their families. The corps was designed to improve the young men’s health, teach them job skills, and conserve the natural environment. CCC camps were established at Euclid Creek, North Chagrin, and Brecksville Reservations where young men planted trees and built picnic shelters, trails, bridle paths, and retaining walls. Two thousand young men from Cuyahoga County joined the CCC each year during the worst of the Depression. The NYA provided jobs and job training to young women and men, 15 to 25, so that they could continue their educations. Most worked in public and private recreation facilities; others worked in city playgrounds and parks, and some did clerical work. William M. Milliken, director of the Cleveland Museum of Art, headed the Federal Art Program’s Midwest Region. In December 1933, in just the first week of the PWAP, Milliken hired 72 artists, who created murals for the Cleveland Public Auditorium and the Cleveland Public Library. The library became the most significant repository of the federal art of this period because its director Linda Eastman shared Milliken’s passion for public art. The PWAP was superceded by the Federal Art Project. Cleveland sculptor and ceramicist Edris Eckhardt was named regional supervisor of sculpture for the project, which over its seven years hired 350 artists. Murals and sculpture were commissioned for 19 Cleveland area post offices and for Cleveland and suburban public schools, the Cleveland Botanical Garden, the Cleveland Museum of Natural History, and for Lakeview Terrace, Outhwaite, and Woodhill public housing projects. Artists also created thousands of posters that taught useful lessons about public housing, safety, and nutrition and ceramic figures that told familiar fairy tales or portrayed persons of immigrant countries. Nationally, the PWAP produced “approximately 700 murals, 7,000 easel paintings and watercolors, 750 sculptures, and 2,500 graphic works of art …. The Federal Art Project …. more than 40,000 easel paintings, 1,100 murals in public buildings, and thousands of prints, posters, and other graphic works …. The Treasury Relief Art Projects…. 89 murals, 65 sculptures, and approximately 10,000 easel paintings.” While much of the federally produced art has vanished, significant local examples remain in the Cleveland Public Library and in public schools, and post offices. The Federal Theatre Project, which hired actors, playwrights, and other theater people, was the most controversial and short-lived of these projects. Casts were usually large (the idea was to create jobs), and project employees were paid between $93 to $103 a month. Project directors, Frederic McConnell and K. Elmo Lowe of the Cleveland Play House, produced a wide range of plays, including revivals of popular melodramas and comedies. In September 1936, the New York Federal Theatre Project brought to Cleveland its version of Shakespeare’s “Macbeth” with a cast of 150 African Americans. Several productions had overt political content. For example, the 1936 production of “Living Newspapers” contained skits on current events and employed 45 local actors, with music by the WPA orchestra. “Unusual but surprisingly good,” decided the Cleveland Plain Dealer theater critic; but he also pointed out the danger of publicly funded art becoming propaganda for the Roosevelt administration. Also political was Sinclair Lewis’s “It Can’t Happen Here,” which warned of the growing threat of totalitarianism; the production was one of 21 that played simultaneously across the country. “Triple A Plowed Under” criticized federal farm policies that required farmers to plow under their crops. The Theatre Project had a bumpy ride. It was briefly discontinued in December 1936, and Congress finally killed it in June 1939. The project was too radical for some, too conservative for others, and probably too frivolous for people who didn’t think theater and theater people were worth supporting. The Federal Music Project had an easier time of it, employing hundreds of Clevelanders and entertaining thousands more. 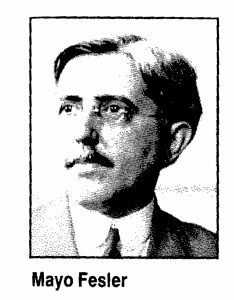 Its director from 1935 to 1938 was Nikolai Sokoloff, director of the Cleveland Orchestra from 1919 to 1933. As in the Federal Art Project, the emphasis of this project’s musicians, directors, and composers was supposed to be on American music; some of the project employees also did research on traditional American music and folksong. The project was popular enough to survive into the early years of World War II. The Cleveland Civic Orchestra was “the most successful” of the groups, thought the Cleveland Plain Dealer. In June, 1936, it presented the works of several Cleveland composers, including Charles V. Rychlik, Ladislaus Gamauf, Clarence Metcalf, and orchestra director Rudolph Schweller. The opera companies presented popular Gilbert and Sullivan works, “The Gondoliers” and “The Mikado,” as well as “La Traviata”, “Carmen”, and “Hansel and Gretel.” In 1936, the operas drew 100,000 music lovers. Tens of thousands listened to the band concerts in the summer of 1938 at Edgewater, Woodland Hills, Brookside, Gordon and Washington Parks. The Federal Writers’ Project employed writers, researchers, editors, historians and cartographers. Elsewhere, the project produced a notable series of guide books to various states. In Cleveland, its employees produced the Annals of Cleveland, an index and digest of Cleveland newspapers, 1818 to 1876, and a Foreign Language Newspaper Digest that remain useful to historians. These federal programs exemplified the difficulties of all WPA and work relief programs. They had two goals, sometimes in conflict: to provide jobs with a decent wage and to create something of lasting value to the public. However, public wages were not allowed to compete with private enterprise where wages were already low: the salary of a violinist in the Cleveland Civic Orchestra, for example, could not be higher than the salary of a violinist in the Cleveland Orchestra. This meant that public projects did not pay much. Moreover, funding was not only low but subject to congressional or executive whim or financial exigencies – for example, the 1936 cutbacks in the Theatre Project. For these reasons, although some very well known artists were sustained, the federal programs could not always attract the most skilled workers – the very best violinists, carpenters, or masons – and consequently could not always create the best possible work. The federal arts projects in Cleveland did employ significant numbers of women and African Americans. But in general, their opportunities for work relief remained low at a time when they desperately needed jobs. Women got short-changed because the universal assumption was that men, not women, were the family breadwinners and needed the jobs more; African Americans were less likely than whites to get hired because local prejudices controlled hiring, even in federal projects. On the other hand, over their lifetimes, the federal work relief programs did hire tens of thousands of Clevelanders: 54,849 in Cuyahoga County in 1938, for example. An estimated 27 percent of all Clevelanders (workers and their families) benefited from the programs. But although they kept the city and its residents afloat during these painful years, they did not end the Depression. The approach of World War II did that. By 1939, Cleveland’s manufacturing was regaining strength, exceeding 1930 levels as the United States geared up for World War II, providing war materiel first for European nations and then for itself. Cleveland’s long-idle mills and factories went full blast, making planes, munitions, tanks, jeeps, trucks, and putting tens of thousands of long-idle men and women back to work. Historian William Ganson Rose maintained that Cleveland achieved “greatness” in the 1940s. The Cleveland Electric Illuminating Company declared it “the best location in the nation” in 1944. The city’s population reached its all-time high of 914,808 in 1950. Some Clevelanders sensed trouble ahead: growing signs of racial tension, overcrowded neighborhoods, congested streets, and the accelerating exodus to the suburbs. But Clevelanders in the 1940s also had much to celebrate: the war had been won in 1945, the city had its 150th birthday in 1946, the Indians beat the Boston Braves to win the World Series in 1948, and last but certainly not least, Cleveland’s industrial economy was booming, and the long, desperate Depression was finally over. The Depression years were the worst of times for most Americans. But for Clevelanders, there were some bright spots: the completion of Severance Hall despite the financial difficulties of its primary donor John L. Severance; the opening of the Cleveland Stadium in 1931, where five summers later, spectators watched a 17-year-old rookie named Bob Feller make his pitching debut; the Great Lakes Exposition of 1936-37, a spectacle that raised the spirits of millions of visitors who badly needed cheering up; and the exciting sideshows provided by crime-fighter and Cleveland Safety Director Eliot Ness as he fruitlessly pursued the Torso Murderer. These worst of times changed Cleveland – and the nation – forever. They left a visible legacy in the city’s parks, schools, roads, libraries, post-offices, and other public places: William Sommer’s mural, “The City in 1833” in the Brett Hall Reading Room of Cleveland Public Library; the Memorial Shoreway and the Main Avenue Bridge; Olde Cedar, Outhwaite, and Lakeview Terrace public housing projects; Edris Eckhardt’s ceramic sculptures of Little Red Riding Hood and the Mad Tea Party, and the Walrus and Carpenter from Alice in Wonderland at Oxford School in Cleveland Heights; the handsome stone bridge that connects the Cleveland Heights and the East Cleveland parts of Forest Hill Park; the rustic trails and picnic shelters in the Cleveland MetroParks. These became tangible reminders of the growing importance of the federal government in the lives of all Americans. In less visible but more important ways, these years also redefined the relationship of the federal government to those disadvantaged by poverty, illness, age, or unemployment. They were no longer sheltered at the Cleveland Infirmary, given outdoor relief at its backdoor, or aided by a private agency like Associated Charities, dependent on the generosity of more fortunate Clevelanders. The “safety net” of Social Security, unemployment compensation, and aid to dependent children, greatly expanded in later decades, began here in these worst of times, the Great Depression. Cleveland Plain Dealer, (hereafter CPD) March 31, 1931: 1. Marian J. Morton. Women in Cleveland: An Illustrated History (Indiana University Press: Bloomington and Indianapolis, 1995), 191. A suggested dinner menu: spaghetti with kidney beans and meat balls, raw carrot strips, bread, beverage, and vanilla pudding for dessert. Daniel R. Kerr. Derelict Paradise: Homelessness and Urban Development in Cleveland, Ohio (Amherst and Boston: University of Massachusetts Press, 2011), 60. CPD, October 14, 1930: 10. Lucia Johnson Bing. Social Work in Greater Cleveland: How Public and Private Agencies Are Serving Human Needs (Cleveland: The Welfare Federation of Cleveland, 1938), 18. David D. Van Tassel and John J. Grabowski. The Encyclopedia of Cleveland History (Bloomington and Indianapolis, Indiana; Indiana University Press, 1996), 82. CPD, October 4, 1998: 5-D.
 CPD, February 12, 1930: 1. CPD, July 11, 1934: 1. Van Tassel and Grabowski. Encyclopedia, 571-2. CPD, April 4, 1933: 1; CPD, June 18, 1933. CPD, July 29, 1937: 1. CPD , April 25, 1934:5; April 17, 1934:3; March 24, 1934:5; January 1, 1935:27. CPD, January 3, 1937: 20-A. CPD, July 27, 1937:1; CPD, July 28, 1937: 1. Kimberley L. Phillips . Alabama North: African American Migrants, Community, and Working-Class Activism in Cleveland, 1915-1945 (Urbana and Chicago: University of Illinois Press, 1999), 197. David D. Van Tassel and John J. Grabowski, The Dictionary of Cleveland Biography (Bloomington and Indianapolis: Indiana University Press, 1996), 224. CPD, January 2, 1932: 8 ; CPD, January 11, 1935: 4. CPD, October 7, 1931:1, 14; CPD, October 11, 1931: 8-A. CPD, February 11, 1932: 1; CPD, October 20, 1932: 17. CPD, July 19, 1933: 1. CPD, September 18, 1932: 7D; CPD, September 4, 1932: 6C. CPD, April 13, 1935: 9. George Condon. Cleveland: The Best Kept Secret (Cleveland: J.T. Zubal and P.D. Boyle, 1981), 192; Van Tassel and Grabowski, Dictionary, 460. Van Tassel and Grabowski, Encyclopedia, 693, 671. William Ganson Rose. Cleveland: The Making of a City (Cleveland and New York: World Publishing Company, 1950), 952. Carol Poh Miller. Cleveland MetroParks Past and Present: Celebrating 75 Years of Conservation, Education and Recreation, 1917-1992 (Cleveland: Cleveland MetroParks, 1992), 13. CPD, September 23, 1937: 5. Van Tassel and Grabowski, Encyclopedia, 828-9. Karal Ann Marling, Covering History: Revisiting Federal Art in Cleveland, 1933-1943 (Cleveland: Cleveland Artists Foundation, 2006), 66-67. Holly Rarick Witchey and John Vacha. Fine Arts in Cleveland: An Illustrated History (Bloomington and Indianapolis: Indiana University Press, 1994), 121. CPD, March 30, 1936: 7. CPD, June 21, 1936: 61. Van Tassel and Grabowski, Encyclopedia, 1104.
of Newton D. Baker, addressing his impact on the intellectual and political life of Northeast Ohio and beyond. This event is co-sponsored by The City Club of Cleveland, the Cleveland Council on World Affairs, Teaching Cleveland Digital, and the League of Women Voters of Greater Cleveland. In 1896 Baker and Clarke both split from Democrat William Jennings “Cross of Gold” Bryan. Both went on to attain great distinction, first in Northeast Ohio, then under President Wilson’s New Freedom. Baker and Clarke eventually diverged, however, in their assessment of the New Deal. How and why—that is the question. Newton Baker was a proud supporter of woman suffrage, but for Clevelander Belle Sherwin, the movement was a transforming experience. Born to privilege and propriety, Sherwin overcame her “natural shrinking from publicity” by joining, and then leading, the campaign for votes for women that changed their lives and American politics forever. As a progressive leader in regional and national affairs, Baker was dedicated to the cause of adult education and seized the opportunity to help launch a remarkable model in Cleveland.